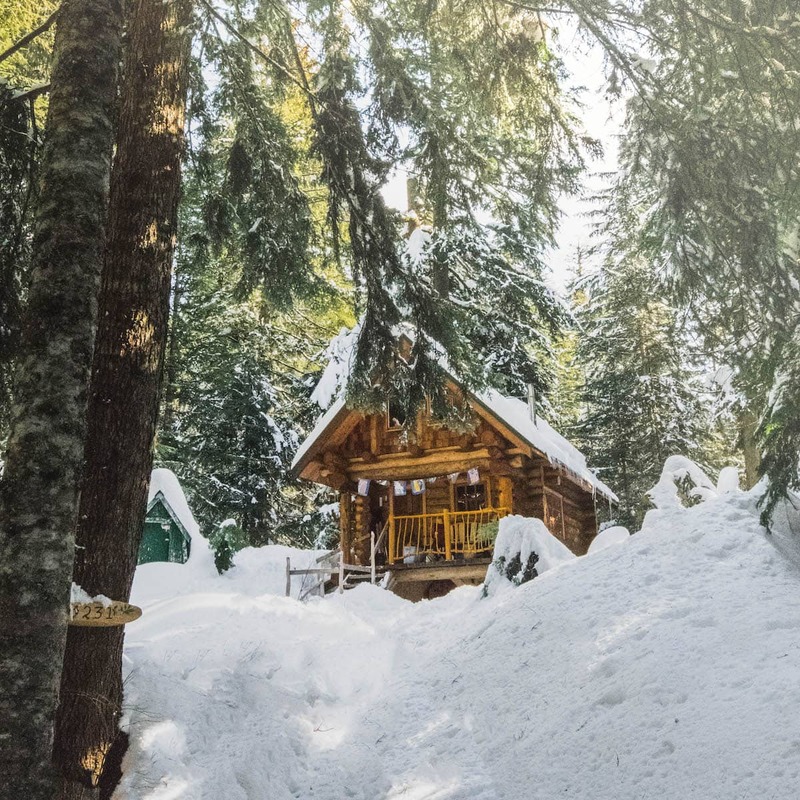 Tucked away in amongst the trees near Cypress Mountain ski resort are around 100 Cypress cabins. If you’ve skied or snowshoed up at Cypress it’s unlikely you’ll have seem them as they’re pretty well hidden. 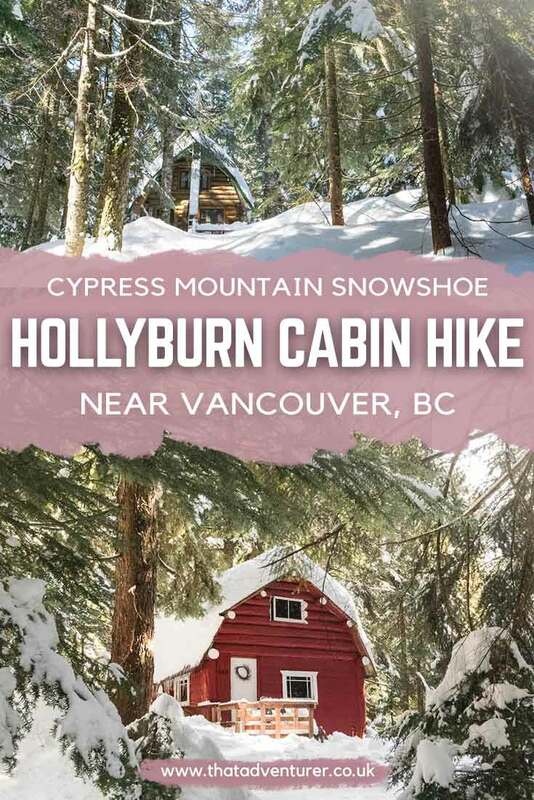 They’re privately owned but there are trails in the forest which will take you passed some of the gorgeous Hollyburn cabins on Cypress Mountain, Vancouver. We recently hired some snowshoes and went on a cabin hunt. 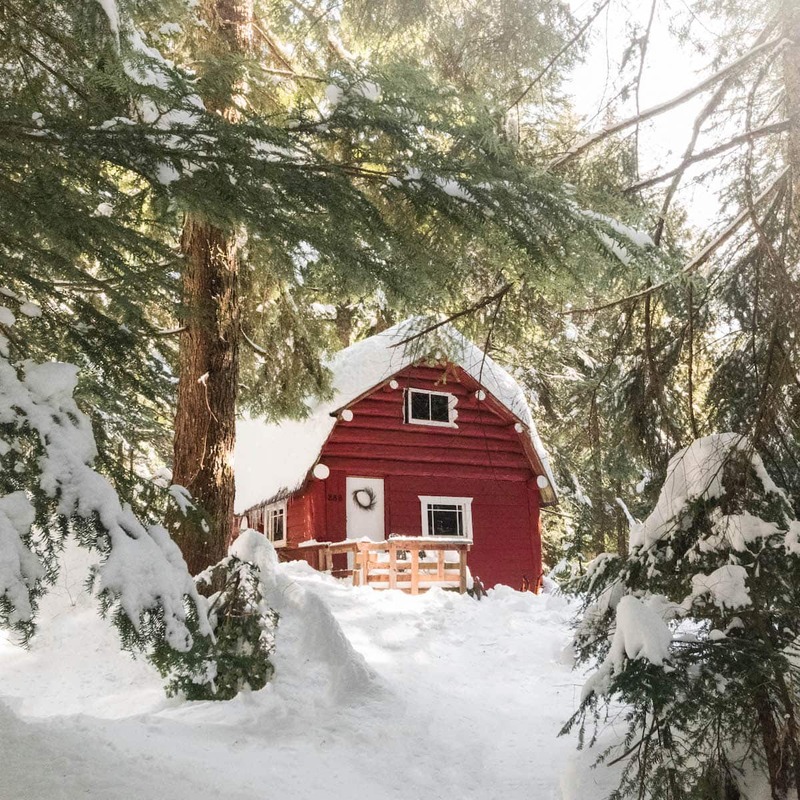 Because everyone knows cabins look a lot more cosy when they’re surrounded by snow! 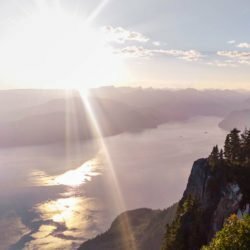 Want more posts about hiking Cypress Mountain? The Hollyburn Cabins started being built in the late 1920s near the new Hollyburn Ski Camp/Lodge. 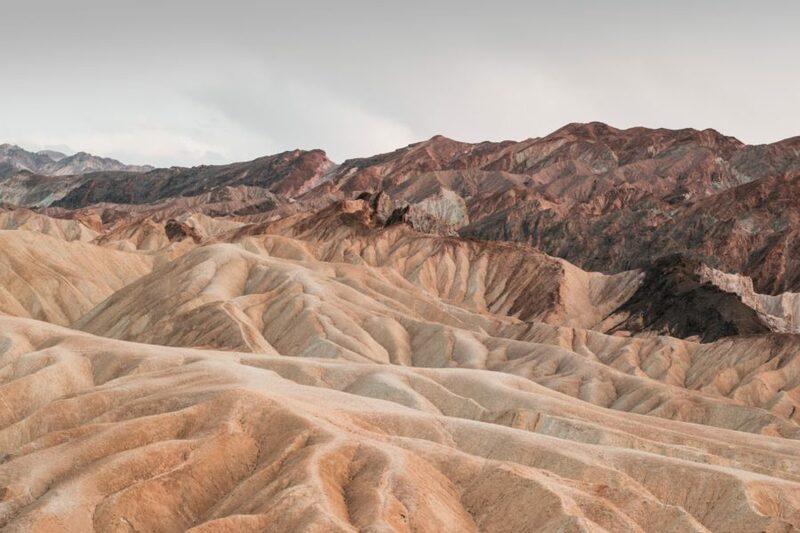 It’s said that people decided to build a cabin, looked for fresh water and building supplies and then went about building their home on the Hollyburn Ridge. These builders weren’t necessarily the most experienced, but they learned through trial and error and shared knowledge with other cabin builders. By 1931 over 200 cabins had been built. 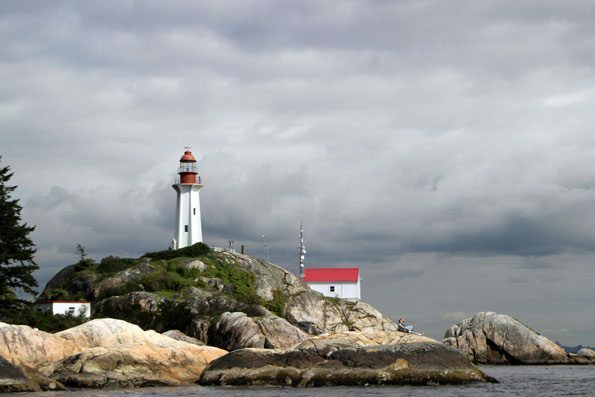 There were more restrictions put in place and annual fees collected by the District of West Vancouver. Nowadays there are fewer cabins but they’re still used. We saw the lights on in a couple of the cabins we passed and saw some people coming out to do some cross country skiing. Dreamy! You can read more about the Hollyburn Cabins here. 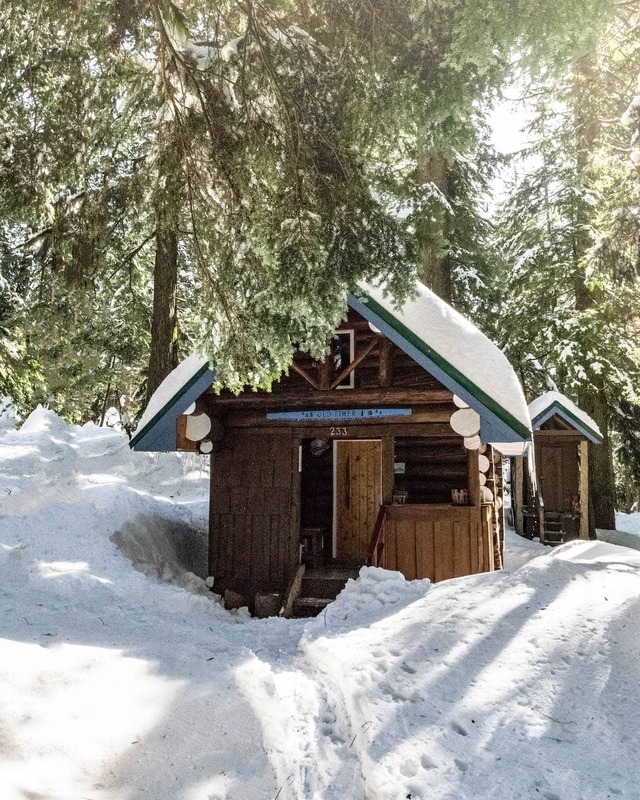 The Cypress Mountain cabins are in the Lower Hollyburn area of the Cypress Mountain ski resort. 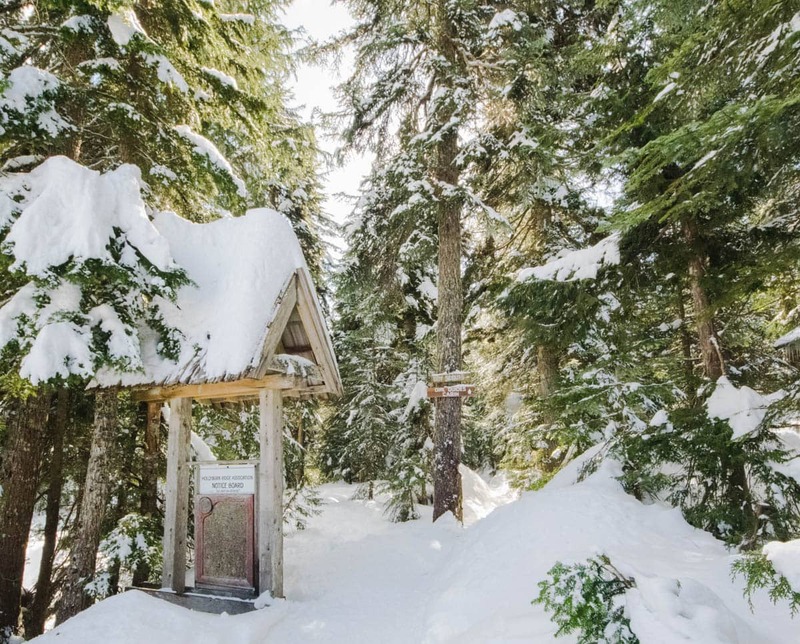 You can access them from the Cypress Mountain Hollyburn Nordic area (which requires a trail pass) or from a parking spot off the main road up to the ski area. 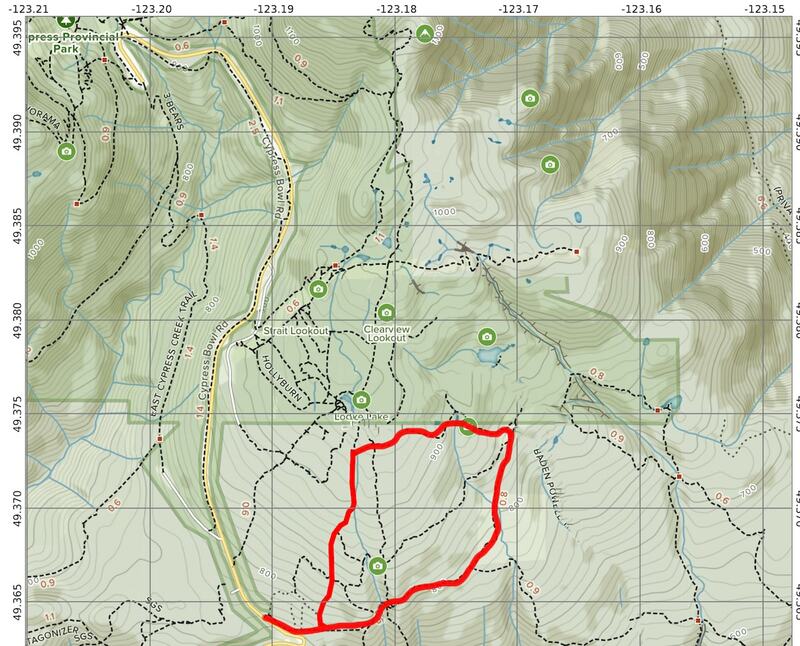 The easiest way to see the trails in this area is to get the North Shore Trail Map to plan your Cypress Mountain hiking. To the left is a little Cypress Mountain trail map of the route we took. Usually in the winter I just go skiing on Cypress Mountain, but this year I decided to do some Cypress Mountain snowshoeing. We made up our own little loop for this Cypress snowshoe up around the Cypress log cabins coming back on some of the Baden Powell Trail before rejoining the logging road by which we’d parked up. There are no trail markers and so I highly recommend picking up the North Shore Trail map linked above or, at the very least downloading AllTrails. Start by parking at the pullout on your right-hand side as you drive up Cypress Mountain. The pull out is just before you get to the Nordic Ski Area. This area can often be full. If so, park up at the Nordic Ski Area and then pay for a trail pass to use their trails. If you park at the pull out you’ll follow along a fire access road until you get to the Old Forks Trail. Along this trail, you’ll climb up fairly steeply in places and wind passed dozens of beautiful cabins. Just before you arrive at the Nordic Ski Area and managed trails there’s a bridge to your right. 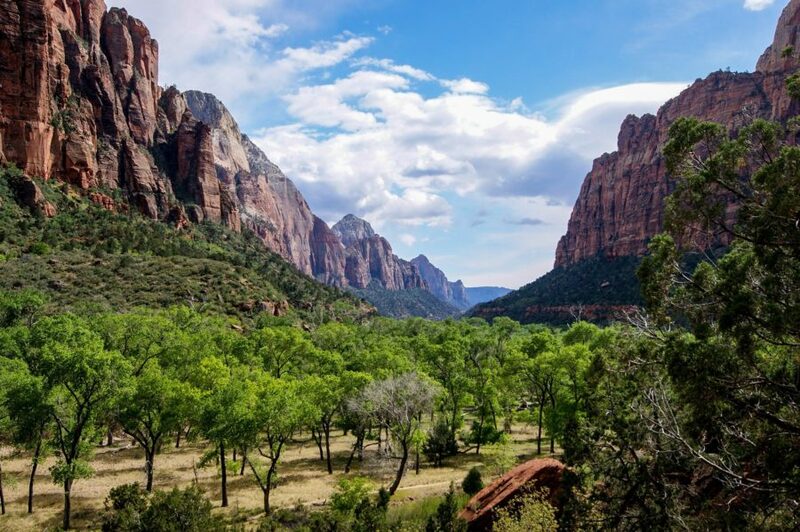 Cross over this bridge and continue your hike along the Grand National Trail and then the Cypress Resort Road. 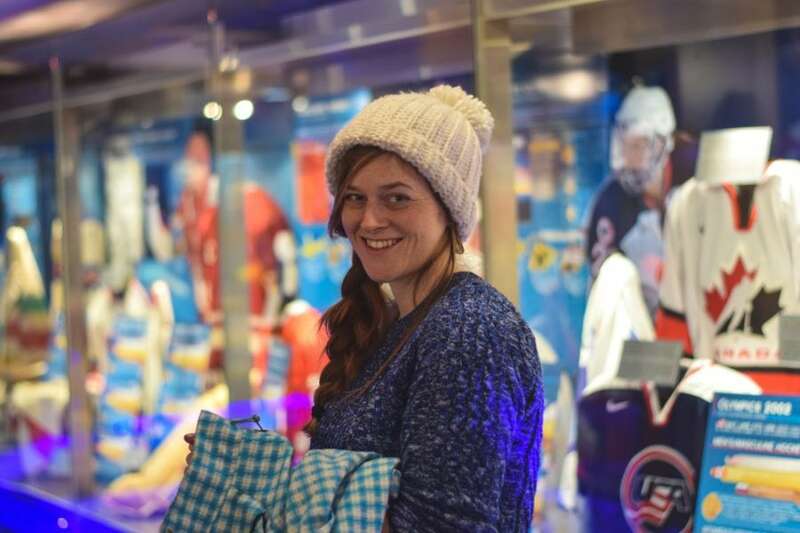 Snowshoes/Yaktrax: you can rent snowshoes from the Cypress Mountain Nordic Area or from various stores in downtown Vancouver such as MEC, Bees Knees Rentals.